Halloween is only four days away and I am now officially thankful that my older kids to not have a Halloween party at their school. I only have to worry about Ruby's preschool class and there are only 8 kids, so it won't be hard to come up with eight fun Halloween party favors. If you are still trying to put something together last minute, because I can't be the ONLY one, here are some fun Halloween treat printables to help get you on your way. 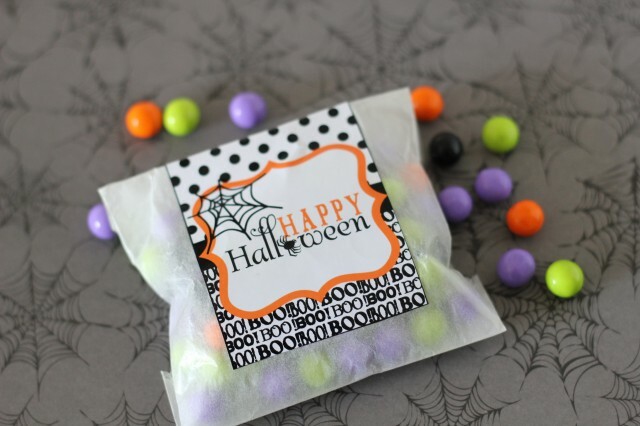 Dandee created this fun BOO treat printable to dress up a custe cloth sack, or more realistic for me, a colored paper bag from Party City. 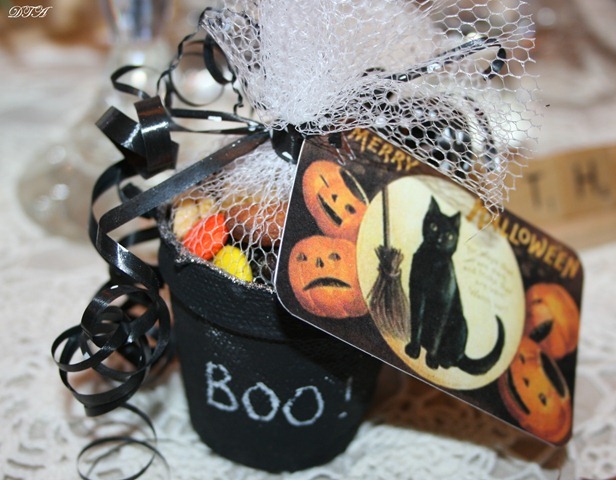 Laura from Decor to Adore has a great vintage cat Hallweeen printable to dress up her Halloween party favor cups. 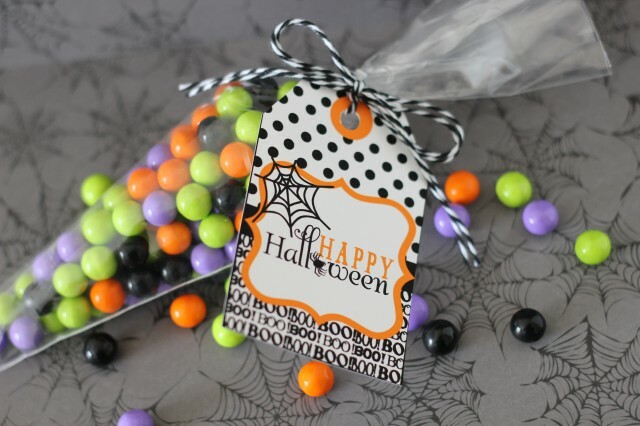 And this fun free printable Halloween tag from Anders Ruff coordinates with one of their Halloween party sets that you can purchase. 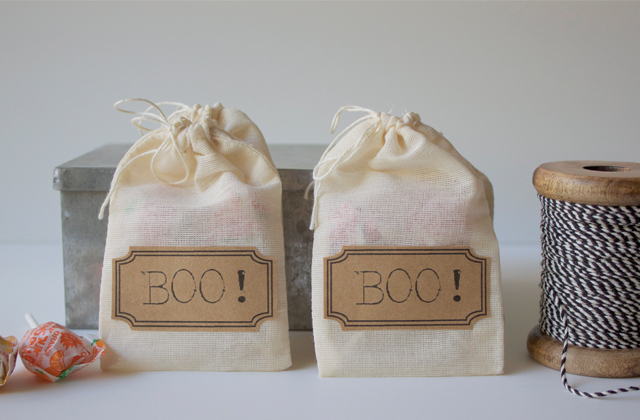 You can use it to dress up Halloween party favors a couple of ways. Hopefully one of these free Halloween printables will get you (and by you and mean me) inspired to stop procrastinating and get your Halloween party favors finished. At least by Saturday. I should probably finish their costumes first.